Mini's new EV will be a version of the core three-door model built in Oxford. MUNICH -- BMW said its plant in Oxford, England, has been chosen as the location to produce an electric Mini starting in 2019. The battery-powered car will be a variant of the brand's core three-door model, BMW said in a statement on Tuesday. Additional electrified models will be brought to market in the coming years and beyond 2020 when a next-generation vehicle architecture will enable further full-electric vehicles, BMW said. The Mini EV's electric drivetrain will be built at BMW's e-mobility facilities at plants Dingolfing and Landshut in Bavaria before being integrated into the car at Oxford, which is the main production location for the Mini three-door model. 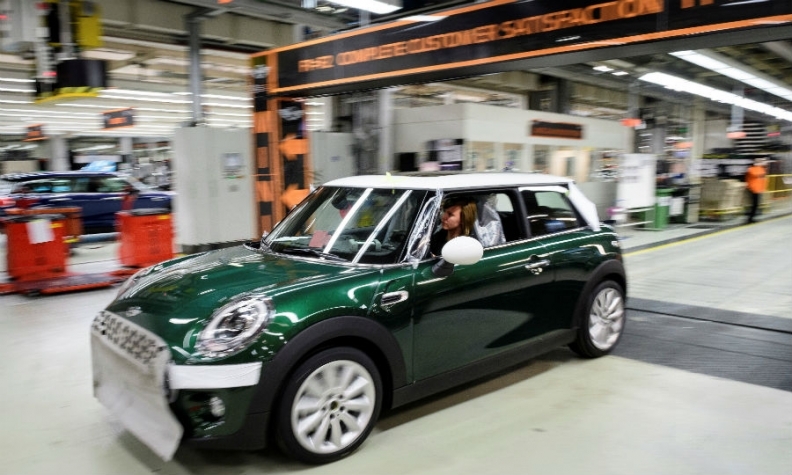 Setting the production site for the Mini EV has been complex because of competing political and economic pressures amid negotiations over Brexit. If a trade agreement between the UK and EU proves unfavorable, components from Germany could face tariffs, making the project less viable. But BMW cannot afford to hold off on a decision until a final Brexit deal. The model will be produced at the plant until at least 2023, a person familiar with the decision told Bloomberg. The relatively short time frame for the production run for the model -- four years, compared to the typical seven -- gives BMW the opportunity to shift the car elsewhere with the next revamp of the vehicle if necessary, the person said. BMW said it did not receive any reassurances from the British government over post-Brexit trading arrangements. Earlier this month two sources told Reuters the British government helped to secure a 240-million pound ($314 million)investment from Toyota with a letter reassuring the Japanese carmaker over post-Brexit trading arrangements. "BMW neither sought nor received any assurances around post-Brexit trading arrangements nor any subsidies," a BMW spokesman said. Britain's business minister Greg Clark welcomed the decision to build the Mini EV in Oxford, saying it was a "vote of confidence" in government efforts to make Britain a go-to place for the next generation of vehicles. BMW has owned the Mini brand for about two decades. Since 2000, BMW has invested about 1.75 billion pounds ($2.3 billion) in its UK manufacturing operations, which also include sites in Swindon and Hams Hall, England. Including the Rolls-Royce marque, BMW employs about 18,000 people across the UK, including 4,000 at the Oxford plant, and exports 2.4 billion pounds of vehicles and parts from the country annually.